What Is Netflix’s Q1 Outlook? Does Netflix Have A Path To A $250 Billion Market Cap? Netflix (NASDAQ: NFLX) is scheduled to announce its first quarter results on Tuesday, April 16. The company continues to see strong growth, and now has over 139 million paying subscribers in over 190 countries along with a vast range of TV shows and movies, including original series, documentaries, and feature films. In 2018, the company’s revenues increased 35% year-over-year (y-o-y) to $15.8 billion, largely driven by growth in subscribers across both the U.S. and international streaming markets. The company’s solid international growth has come despite stiff competition from the likes of Amazon and Hulu, as well as local content providers in various markets. Netflix saw its stock gain nearly 40% over the course of 2019. We have a $378 price estimate for Netflix’s stock, which is slightly ahead of the current market price. We have created an interactive dashboard on What Is Netflix’s Outlook For Q1? which outlines our forecasts for the upcoming quarter. You can modify our forecasts to see the impact any changes would have on the company’s earnings and valuation. 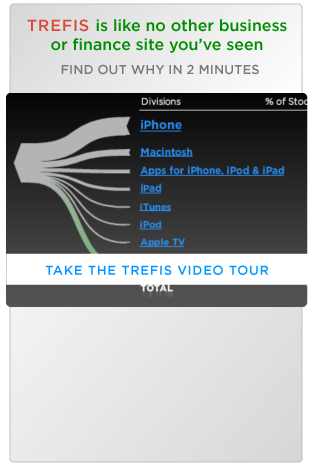 In addition, you can also see more Trefis Media data here. In Q1, Netflix expects 8.9 million global net additions (1.6 million net adds in the U.S. and 7.3 million internationally), compared to an 8.5 million consensus estimate. The company also expects an operating margin of 8.9% in Q1. Netflix is also raising its prices in the U.S. and some Latin American markets. Netflix’s new pricing in the U.S. will be phased in for existing members over Q1 and Q2, and its U.S. prices for new members are increasing across the board – the Standard plan (two HD streams) is increasing from $10.99 to $12.99 per month; the Premium plan (up to four Ultra HD streams) is increasing from $13.99 to $15.99 per month; and the Basic plan (with a single non-HD stream) is increasing for the first time, from $7.99 to $8.99 per month. This will help boost the company’s average revenue per customer over the coming quarters. We forecast Netflix to reach 62 million subscribers in the U.S., with an average monthly fee per subscriber of just over $11, translating into $2.1 billion in domestic streaming revenues for Q1. In addition, we also estimate close to 95 million subscribers in international markets with an average monthly fee per subscriber of $8.28, translating into about $2.4 billion in international streaming revenues in the same period. Netflix has been growing its subscribers by leveraging its original content slate, and we expect this to continue in the near term as well. On the other hand, Netflix’s DVD business is expected to continue to lose steam, and its revenues will likely decline to just below $80 million. Overall, we expect the company to report revenues of around $4.5 billion, based on strong adoption in international markets. Furthermore, we anticipate that the total subscriber base for both international and U.S. streaming services could grow to over 157 million during the quarter.